Navajo Bible Project | Get the Word Out! Spread the word and help support this project by sharing with others. 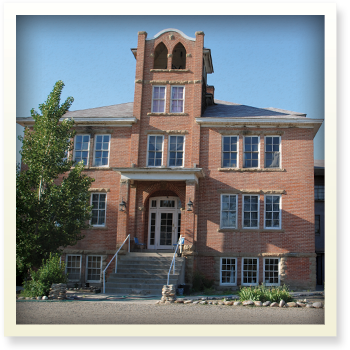 In December of 2007, I received a newsletter from Many Waters Mission which is located in a former Catholic school in Waterflow, New Mexico, near the four-corners region. 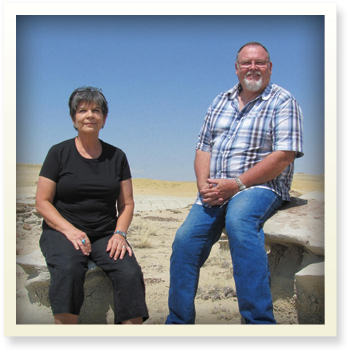 I have always taken the time to read these newsletters because I have experienced firsthand the integrity & faithfulness of Don & Lynn Cartwright, missionaries to the Navajo. 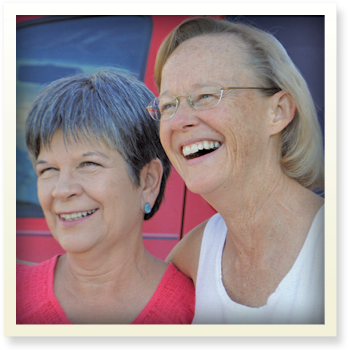 Toward the end of their letter I read something that would radically change my involvement with their ministry. In her letter, Lynn said that people often ask what the greatest need is on the reservation. Most people think that the most pressing needs are for practical things such as food, shelter, etc. Lynn disagrees. She said that the greatest need is Bibles. This comes as a shock to many people because we all know that you can purchase a Bible at Wal-Mart for less than $5. But, if you had your choice between buying a Bible – or food – for your child, on which would you spend the money? At one point there had been a company which had committed to providing Bibles for Many Waters Mission, but that was short-lived. Some people had donated their old Bibles, but they often arrived with broken backs or torn pages or small print – not something that the Mission would want to give or receive! Would YOU like to receive a “gift” of a Bible that was marked up or torn? The mission hosts several outreaches each year, as well as overseeing the ministries of approximately 25 churches on the reservation. Food distributions, home visits, association with other local ministries, pastor’s conferences, etc. provide many opportunities to share the gift of Truth with people, but they didn’t have money or access to Bibles to give away. When I read this, I sensed the Holy Spirit saying, “What CAN you do?” He did not say, “WHAT can you do?” or “What can YOU do?” He said, “What CAN you do?” In other words, what is possible for Get the Word Out? My response was, “Lord, I have enough connections with individuals & local churches to provide ALL the Bibles & pastoral resources that Many Waters Mission will ever need.” And so it began…The Navajo Bible Project. I began to spread the word, and within a year’s time, Get the Word Out! had mailed or personally delivered 3173 Bibles and pastoral resources to Many Waters Mission, most of which were in great condition! Another GWO! team & I took 813 more Bibles and resources to the reservation. We stayed a week & ministered to people through Bible studies, teaching God’s Word, home visits, work projects at the Mission and in local churches, visits to other ministries and encouragement to pastors. I had gone to the reservation this year with a question: “Lord, should GWO! continue with the Navajo Bible Project, or have we finished what You called us to do?” I got His response the first morning as we unloaded into the warehouse. When the door opened, the first thing I saw was empty space where the Bibles were stored. They had given most of them away! Then LaVern came in and asked, “Did you bring any giant print Bibles this time? I have 10 people who have been waiting for you to arrive, hoping you would bring giant print Bibles.” Pointing to a single box, I told her that those were all we had this time. Inside were 10 giant print Bibles! – They’re free. We’re giving them away. – I really like this leather one – it’s new! How much is it? else who would read a Bible, please take one for them, too! this study Bible – how much is it? it home and read it, right?!?! Needless to say, they were amazed, and blessed! Several people wrote down their names and very personal prayer requests; we prayed for each one, and then left the list with the people at Many Waters Mission so they could continue to pray. We also connected with the people who facilitated the development of the Navajo Inter-linear Bible which has both the English and Navajo languages. 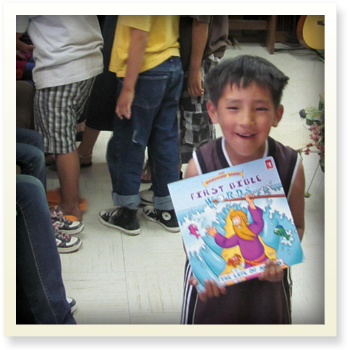 This resource is also helping the Navajo to learn to read their own very difficult language! In addition to all this, Christian DVDs of Bible stories for all agesare being used in Bible studies, rehabilitation centers and outreaches. Each pastor has hard copies of all the resources they need. 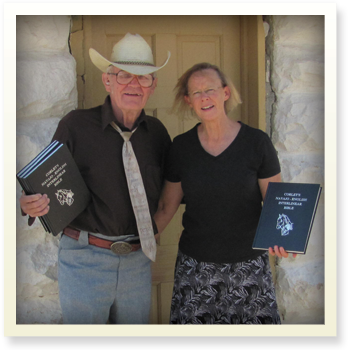 Audio Bibles in Navajo and English have been made available. And the doors continue to open ~ the favor of the Lord is with us as we freely distribute His eternal Word to these precious people. 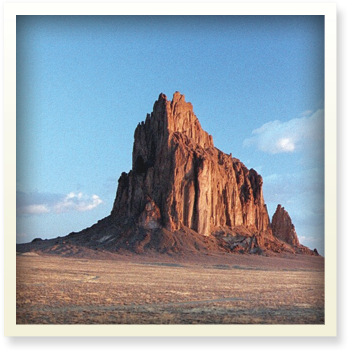 Please prayerfully consider participating in the Navajo Bible Project!